While Monday’s holiday party look was definitely a cocktail affair, today’s cozy belted look not only makes use of one of the season’s biggest trends, but sans jacket, it’s also a perfect look for a casual holiday get-together. Click through to read the full post! I love that this trend (and I use the term “trend” loosely because really, people have been doing this for years, it just cropped up on Burberry’s FW14 runway!) is cozy enough to fend off the cold, but that it’s also discretely body-con, making it a great option for parties. All you need to do is toss off your jacket once you get to whatever your casual holiday affair is (craft night, mulled wine get-togethers, etc) and you look cozy chic without swimming in your clothes either. I’ll be wearing an iteration of this look all season, particularly because my sister and I have already gone over all of our holiday to-do’s and it seems like almost every day beginning December 1st involves some sort of holiday running around (cutting down the Christmas trees, going to the suspension bridge lights, etc). I’ll be needing some auto-pilot style formulas for the season, and something like this is perfect because with the addition of just one pop of colour or seasonal print via the scarf, it’s on-point yet festive! 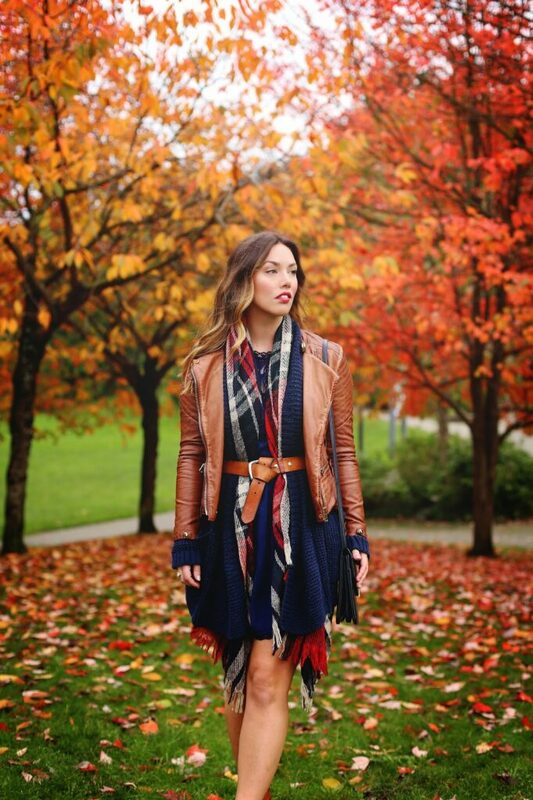 Such a gorgeous outfit, perfect for Fall! Love how you've belted your scarf like that! Beautiful. Those colours are simple gorgeous, and the layering is so chic. I love how you put this outfit together! 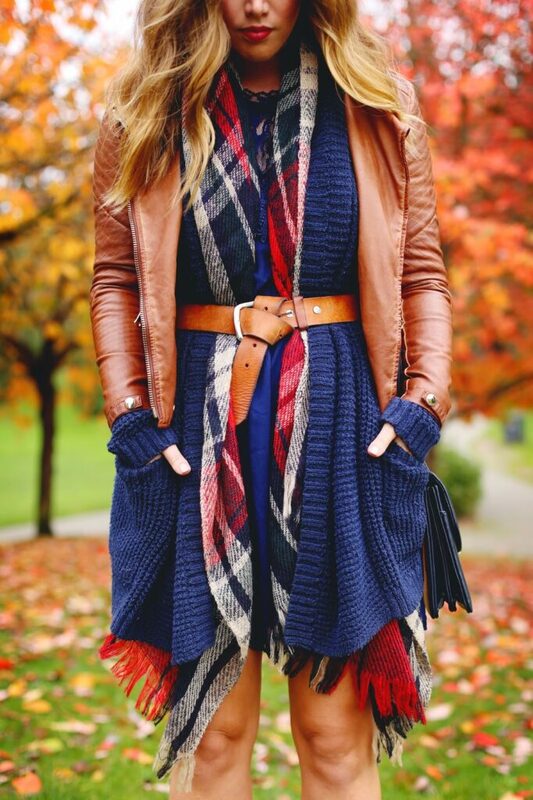 The layering and belt make it very cute. Love this outfit. There's so much going on, and it all goes together perfectly. 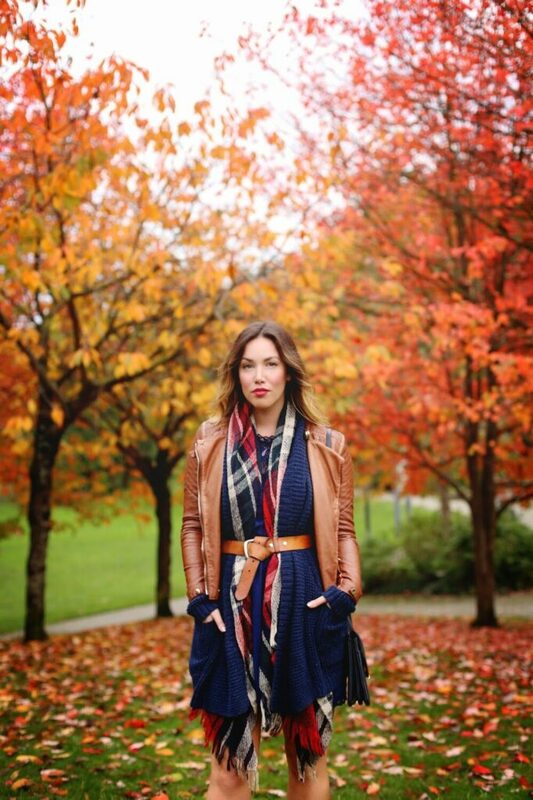 Amazing scarf, and I love that you belted it! This outfit is stunning! 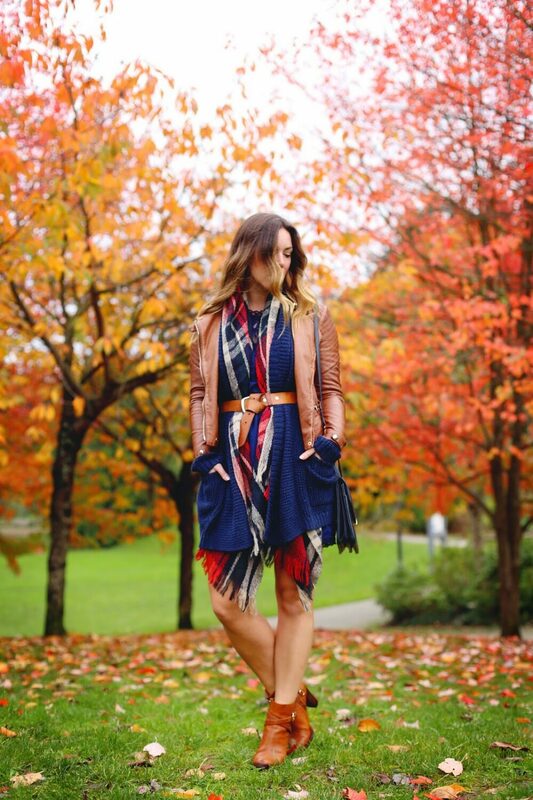 The layering looks amazing and I love your shoes! 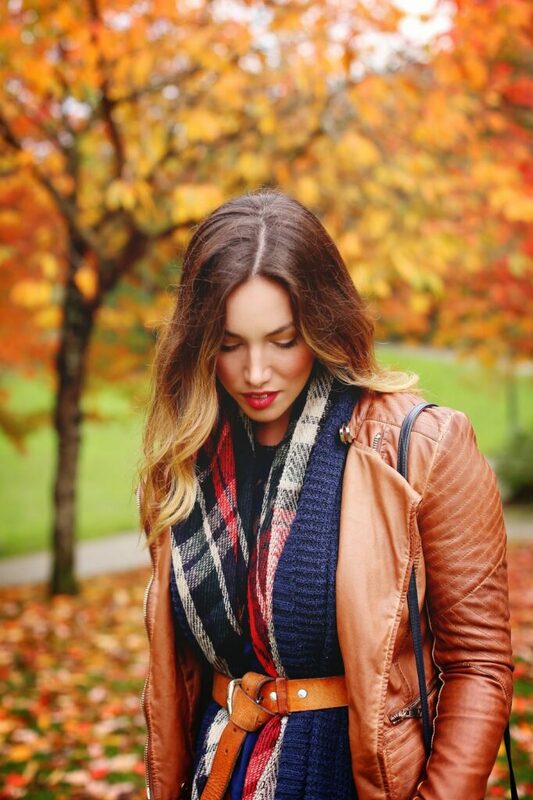 This outfit screams fall. Love it! Looking nice in all captured shots! It’s going to be ending of mine day, except before end I am reading this wonderful post to increase my know-how. this site is truly fastidious and the people are in fact sharing good thoughts. Thanks for sharing your thoughts about garcinia cambogia yahoo. know how to really take helpful data regarding my study and knowledge. definitely you’re going to a famous blogger should you are not already. media print, we all understand media is a great source of information. website, and your views are good designed for new users. I have learn this submit and if I may I want to counsel you few interesting issues or tips. written and come with almost all significant infos. I would like to peer extra posts like this . Furthermore, The contents are masterpiece. you have done a great task in this topic! this website. I’m hoping to see the same high-grade content by you later on as well. Thanks for sharing your thoughts about garcinia cambogia with hca. Hello colleagues, its great article regarding tutoringand entirely defined, keep it up all the time. web users; they will get advantage from it I am sure. info you’ve got here on this post. I will be returning to your site for more soon.